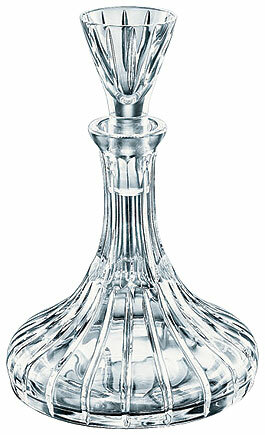 Our 7-oz hand cut crystal cruet has a tapered neck and a good firm base on which to stand securely. This elegant yet straightforward container has a matching crystal stopper to help keep the contents sealed nice and snug. Whether using it for containing the wine required for the Holy Sacrifice of the Mass or your dinner table, it is a beautiful addition.